Come be a part of the fun even if you're at home, work or vacation! 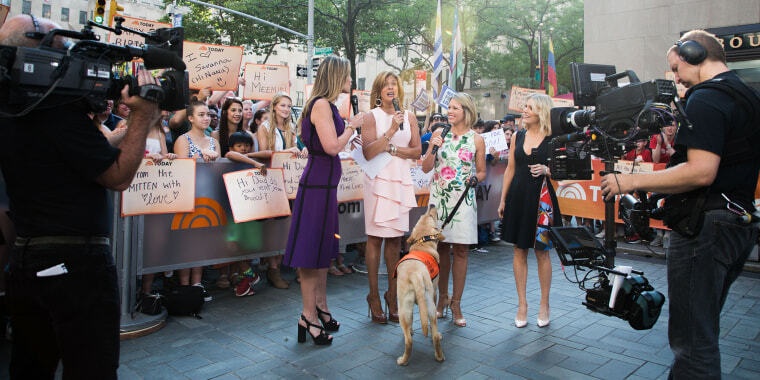 Have you ever wanted to see yourself on the TODAY plaza but can't make it all the way to New York City? You're in luck because we're making it super simple and easy to be here without buying a ticket. All you have to do is upload a video (below) telling us where you're watching TODAY and who you want to say "hi " to. So whether it's with your baby, entire family, a pet or at the office, we want to see it. And the best part is that you may end up on TV! You can also share it using the hashtag #MyTODAYPlaza.